Allbound PRM is simple, powerful SaaS software (PRM) that drives successful partnerships for mid-market technology companies. Here's a quick look into why we at Allbound are so passionate about changing the channel sales and marketing industry. Allbound is a cloud-based channel sales and marketing platform that allows organizations to give real-time access to sales enablement, marketing tools and resources in one intuitive mobile-friendly place. With Allbound's next generation PRM, businesses can arm their partners, resellers and distributors with the content, training and campaigns needed to close more deals faster. The last few decades have seen mass innovation in sales and marketing technologies, yet little-to-none for the channel. 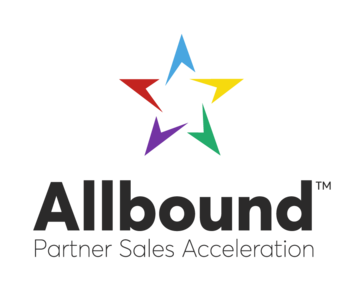 At Allbound, we’re disrupting outdated partner relationship and content management systems with “Partner Sales Acceleration,” accelerating channel sales and marketing alignment and performance through simplicity, automation and business intelligence. Allbound’s SaaS platform allows us to deliver the fastest time-to-value in the industry. Our process-driven “Great in Eight” implementation program helps establish a clear, partner-ready foundation from day one, taking into account both strategy and execution. And our talented customer success team is by your side every step of the way to ensure no detail or deadline is missed. Hi there! Are you looking to implement a solution like Allbound PRM?